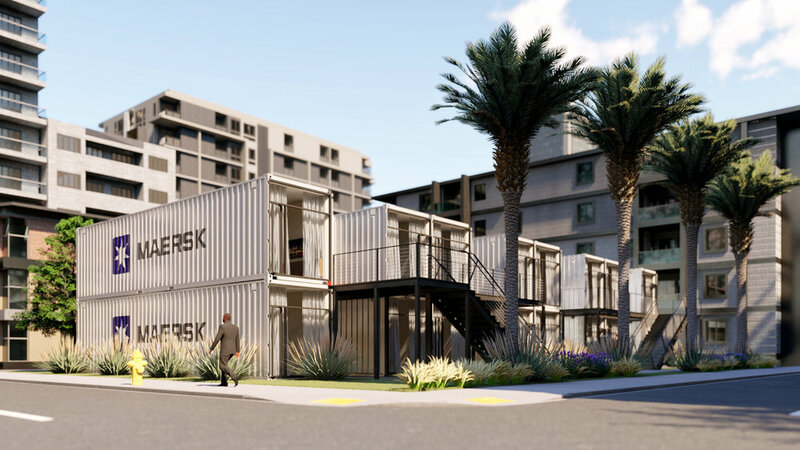 Planning to start construction in 2019, the two story 16 unit shipping container apartment building was designed for affordable one bedroom rental units. 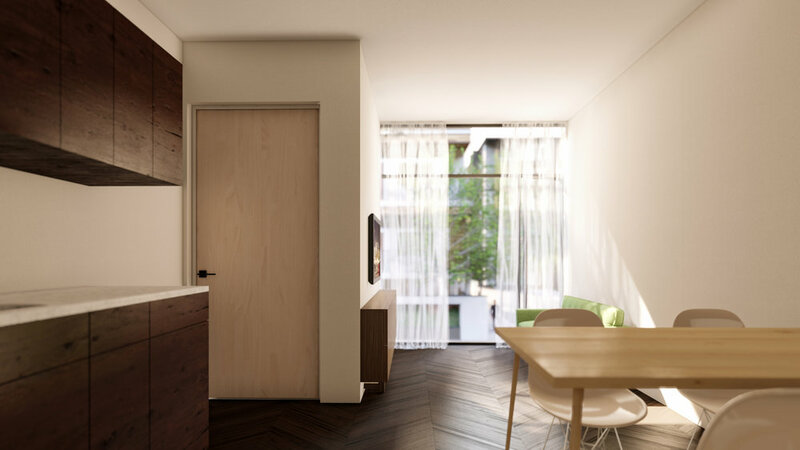 Each 480 sq.ft. 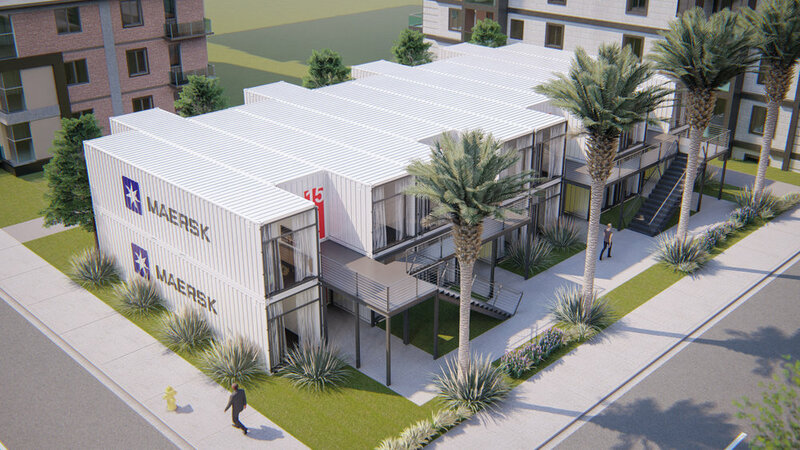 one bedroom unit is comprised of one and a half forty foot retrofitted shipping containers. 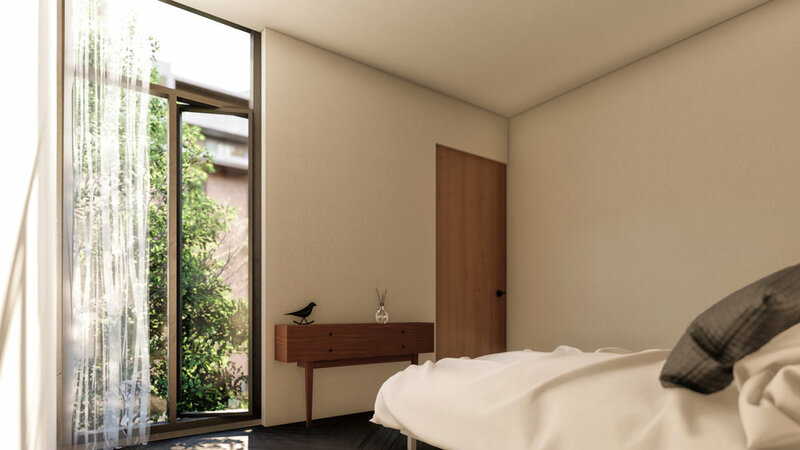 This layout allows for natural light to filter through the space creating a relaxing interior space that occupants of all ages would enjoy.